In the end, John Alexander held Bennelong for the Turnbull government more comfortably than most expected, with a two-party preferred margin of almost 5 per cent at the close of counting yesterday. The smaller than expected swing, set against the backdrop of opinion polls predicting a very tight result, has seen Mr Alexander returned to parliament. 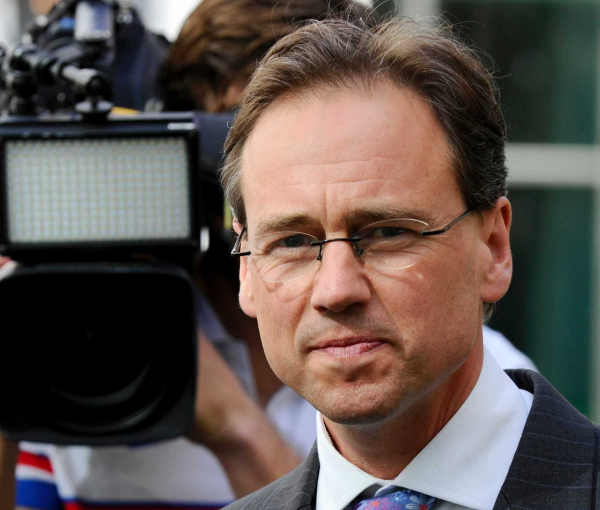 Yet the outcome might also be significant for what it says about the impact of health minister Greg Hunt since his appointment in January this year. Mr Hunt was appointed to the portfolio following the resignation of former minister Sussan Ley. Ms Ley's resignation, which was unrelated to policy, followed a tumultuous period for the portfolio that culminated in Labor's successful 'Mediscare' campaign during the 2016 federal election. Labor's campaign, which dominated the final weeks leading up to election day, almost cost the Coalition government after just one term. It was premised on a range of health policy issues, including a freeze on the indexation of Medicare rebates, cuts to funding for pathology and diagnostic imaging, and the always enduring challenge of rising out-of-pocket costs. Labor was criticised for the truthfulness of the campaign but the fact remains it only succeeded politically because it sought to tap voter perceptions of the Coalition's performance in the health portfolio. The Commission of Audit, which recommended the virtual deconstruction of the current health system, was one of the Coalition's first actions following its election in 2013. It was followed by a first Budget in which the Coalition attempted to introduce a consumer co-payment for visiting a GP and substantially increase PBS co-payments. These early attempts at reform, which were followed by others, set a terrible tone for a portfolio that historically has been a significant political weakness for the Coalition. Ms Ley did achieve major reforms during her time in the portfolio, notably the 2015 PBS Access and Sustainability Package that generated $6.6 billion in savings, but unfortunately her tenure was hampered by decisions taken before her time. Labor attempted to renew 'Mediscare' during the Bennelong by-election. Their candidate, former NSW Premier Kristina Keneally, sought to focus attention on health and specifically the implications of the closure of a Medicare office in the electorate. The decision to close the office was actually taken by the former Labor government and implemented by the Coalition following its election in 2013. Ms Keneally also faced questions and some criticism over the recounting of her own personal experience in a Medicare office. The political parties will determine the extent to which the debate impacted the result in Bennelong but, unlike 2015, it did not seem to dominate the final weeks of the campaign once other issues emerged. Health minister Greg Hunt should probably take a significant share of the credit for taking health off the front page in 2017, in Bennelong and nationally. It is possible the Bennelong ‘Mediscare’ did not work as it did in 2016 because, since his appointment, Mr Hunt has largely removed health portfolio negatives from the front page. He has secured support from his colleagues to address many of the policy issues that had politically dogged the Coalition since 2013. People might question their long-term value but Mr Hunt secured formal agreements with significant stakeholder groups, including those covering the PBS, private health insurance, medical devices and the medical profession, and to a great extent shifted the focus of the health policy debate towards less contentious issues. He systematically identified issues, has used agreements to address stakeholder concerns and essentially lock them into a process-driven policy dialogue, and in doing so largely neutralised the portfolio as a front-page political problem for the Turnbull government. This is a fundamentally good outcome for the Coalition because history suggests it simply cannot not win when the political focus is on health. Yet for Mr Hunt, who should be very pleased with 2017, the question is can it last? Next year will present a new set of challenges – although some not entirely new – involving stakeholder groups probably far less amenable to the approach that worked so well for him this year. Many of the same issues underpinning sector specific agreements remain the same. The challenge will be the extent to which these agreements are able to effectively deal with long-term strategic challenges while keeping stakeholder groups happy. It is important because of the new challenges Mr Hunt will face n 2018. As always, next year's rise in private health insurance premiums will probably be the first health story of the year, but it will simply be a precursor to the fight over new hospital funding agreements with the states and territories. For a Coalition health minister these always difficult negotiations are the political equivalent of being handed a grenade with the pin removed. Next year will be no different. The new agreements are meant to be finalised by the end of 2018 with new funding arrangements implemented from 2020. There is zero chance federal Labor and its state counterparts, many of which are facing their own elections, will do anything other than seek to show Mr Hunt and the Turnbull government 'short-changing' their public hospital systems. State elections in South Australia and Tasmania in the first half of 2018, then in Victoria and NSW in the first half of 2019, will be a very significant political factor in the negotiations. The states are simply not incentivised to make it easy for Mr Hunt, even those with Coalition governments, but Labor will be desperate to elevate health as a political issue in advance of the next federal election - federal and state Labor will work together to make sure this happens. At the same time, while navigating this challenge, Mr Hunt will be hoping the deals already done across the portfolio hold together - this is by no means certain. He has been one of the Turnbull government’s best performers in 2017 and no doubt understands the challenge ahead. He will be hoping for few distractions, on issues like premium increases, while he deals with the states over hospital funding.